The Wild lily-of-the-valley sometimes forms in the forest continuous carpets. Individuals bearing flowers are numerous, but incomparably more numerous are those who are formed of only one broad leaf arising directly from the rhizome. 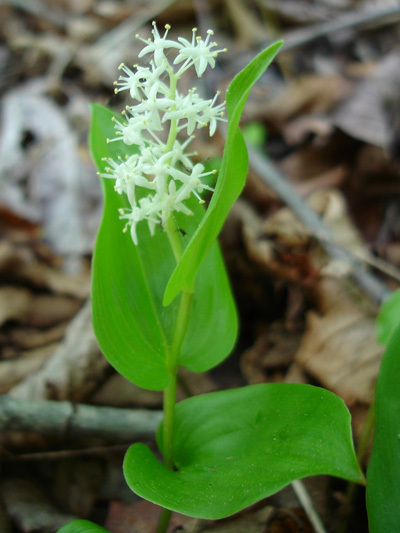 Reproduction by seed of the Wild lily-of-the-valley is low, but a single rhizome can cover an area of ​​50 square meters and have over 60 years old.